Our favorite toothbrush is now at Target. Be still our clean-teeth loving hearts. I’ve been in love with my quip electric toothbrush ever since I tried it out a couple of years ago. 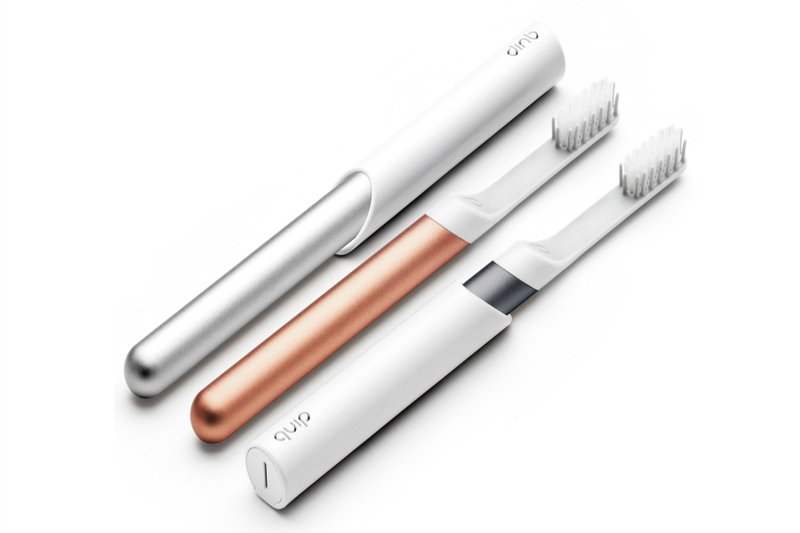 Not only is it sleek and stylish, which okay, I get it, not the highest things on your list for a toothbrush, but it’s got built-in timers, and they send you a new toothbrush head (and battery) every three months so you never have to worry about replacing it yourself. And now, you can grab one for yourself at Target. They’re offering to types of quip toothbrushes at Target: The metal electric toothbrush, for $50, and then a new plastic version, for $35. Just keep in mind that once you purchase you’ll need to head to their website to sign-up for the refill plan, for a small extra fee. But trust me when I tell you that it’s worth every penny. Let’s just say, your dentist will thank you.